Scott Milne addresses the Vermont Republican Party's state committee in June. Seeking to put his past behind him, Republican gubernatorial candidate Scott Milne on Thursday disclosed a series of health, legal and substance abuse issues he's faced over the years. In a written statement distributed to reporters, Milne said he was arrested three times in college — twice for driving under the influence of alcohol and once for "possession of a small amount of pot and cocaine." He also disclosed that he suffered a stroke in 2006, but said he has since made a full recovery. Milne, who is seeking to depose Democratic Gov. Peter Shumlin, said his revelations were not prompted by an imminent news story, though he believes opposition researchers have been reviewing public records related to his past. He said his disclosure spoke to his commitment to transparency. "I don't want people working for me and have this come out in October and have them feel I'm not being straightforward with them or think this is not a reason to join us," he said in an interview. "If we were getting a lot of momentum in October, my sense is it would come up — and I want it to be old news by October." 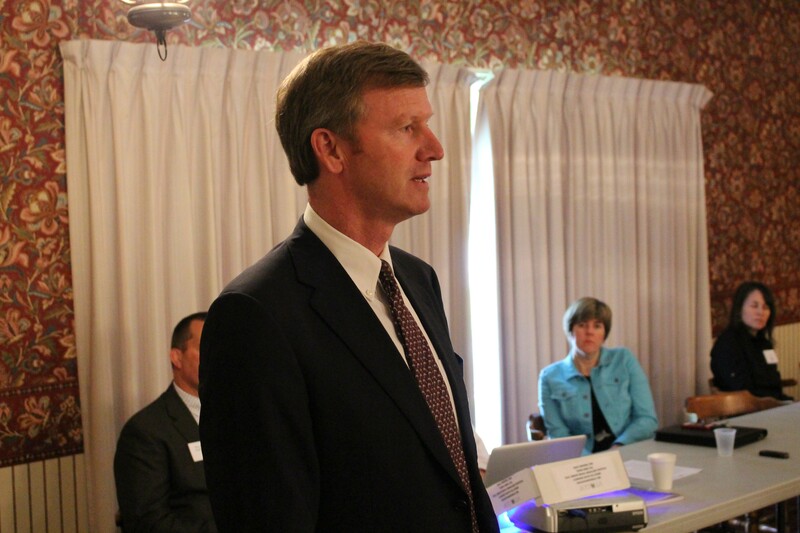 Milne said that while he was embarrassed by the "poor choices" he made in college, he does not believe they disqualify him from serving as governor. "I think life is a process of learning," he said. "I'm extremely confident that I can do a better job than the Shumlin administration has done by putting a good team together in Montpelier. The mistakes I made in the past are part of who I am." Milne, a Pomfret resident and president of a family-owned travel agency, said he suffered an ischemic stroke eight years ago caused by a blood clot in the brain. "But for the good fortune of being at home with my bright, confident and loving 16-year-old daughter, who took control of the situation and sought medical help, I may very well have been permanently incapacitated or dead," he said in the statement. Milne said the episode left "very little residual effect" and is unlikely to reoccur. He said his doctor cleared him "for the rigors of both a vigorous campaign and serving as governor." According to Milne, his substance abuse and legal issues centered around "an irresponsible eighteen-month period" during his years in college. Milne, who attended the University of Vermont for a year and then transferred to California's University of Redlands, was first arrested for driving under the influence when he was 19 and living in Vermont, he said. The second offense and possession charge followed, after he had moved to California. Milne said neither DUI charge stemmed from collisions, and nobody was hurt in the incidents. He said he did not serve time in jail and only received fines. "I made some bad choices. You don't get do-overs in life," he said. "I'm grateful that all I got was some fines and some tough lessons out of it." Milne said he never sought treatment for substance abuse but now leads a mostly abstemious lifestyle. "I haven't used drugs at all since I was a dad," he said. "I drink. Sometimes I don't drink at all. I don't drink regularly, but I drink moderately." Erika Wolffing, a spokeswoman for Shumlin's campaign, said it had no comment on Milne's disclosure. She said the Shumlin campaign was not conducting opposition research on Milne.